The summer holidays are drawing to a close and at The Liberty we know what that means – it’s nearly time to head back to school for a brand new term. 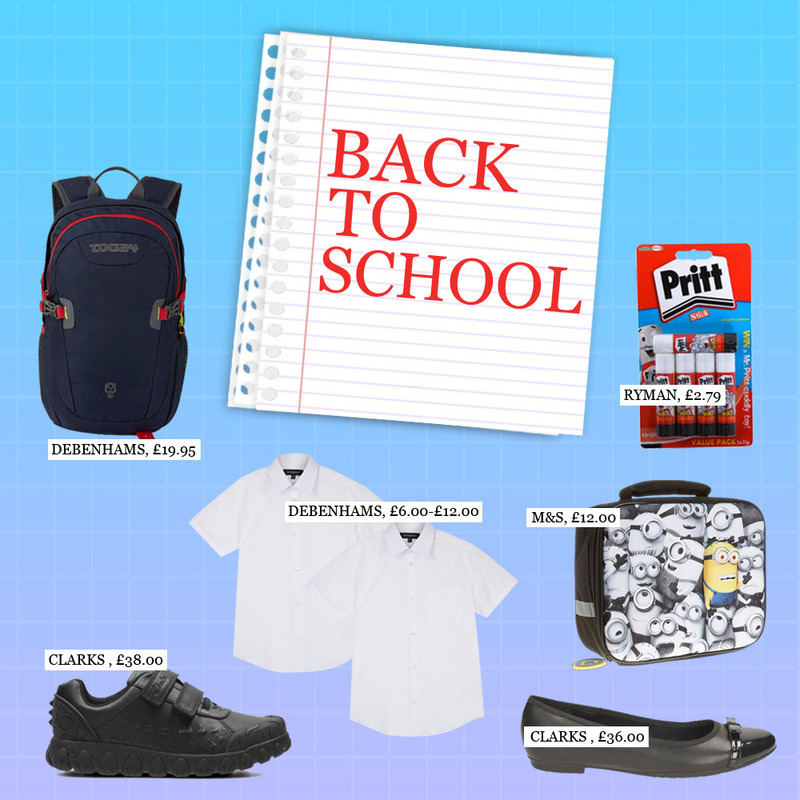 With a fresh school year ahead, new uniform to buy and a pencil case to fill, the list can seem endless. So, let our 100+ stores help make heading back to school as easy as A, B, C.
White shirts are a school wardrobe stalwart and you really never can have enough. To survive the school year, they must be hardwearing and reliable, like this Pack of Two White Shirts and Blouses, £4.80-£9.60 from Debenhams. Stock up now as both are 20% off. The Liberty Top Tip: We recommend purchasing enough shirts to get your child through a whole week. There’s nothing worse than the dreaded Thursday morning scramble followed by desperate shouts of ‘Mum’! When it comes to school shoes endurance is key. For us, the Tizz Fizz BL, £36, and the Tyrex Ride Infant, £38 from Clarks are the perfect combination of both quality and value for money. As well as this, Clarks also has a gift for parents, as you’ll receive 20% off full price adult footwear once you’ve bought a pair of full price children’s shoes. What’s not to love? The Liberty Top Tip: It’s known that if you look after your shoes, they’ll look after you. Make sure to keep both the soles and outers of your children’s shoes in tip top condition with Schuh’s range of care products. As kids grow and progress through school they seem to need to carry more to school from laptops and books to gym kit, we’ve found the perfect ‘all-rounder’ bag, Tog 24 20l Day Pack, £19.95 from Debenhams. It also doubles up as a day sack for family outings too. The Liberty Top Tip: Don’t let your child overload their bag. Get them to bring just the necessities home – it will save their backs in the long run. You need the right equipment for the job, especially when it comes to stationery for the school year. To be prepared for everything that could be thrown their way, students will need pens, pencils, sharpeners and much more. Why not head to Rymans? With a selection of great deals, we’re certain you’ll find everything you could need and lots of great deals to boot. How about five Pritt Stick for £2.79? Lunch is an important part of the school day and here at The Liberty we know that a lunch boxes’ look is as important as its contents. We love this Minions Lunch Box, £12 from M&S as it won’t just keep your food fresh and cool, it’s funky and wipe clean too!